DIRIS Digiware Idc are DIN-rail mounted DC power monitoring modules. Associated with DIRIS Digiware Udc DC voltage measurement modules, they measure and monitor parameters such as power, energy and power quality of DC electrical circuits. With their design, they can be installed at the closest point to the circuit to measure. 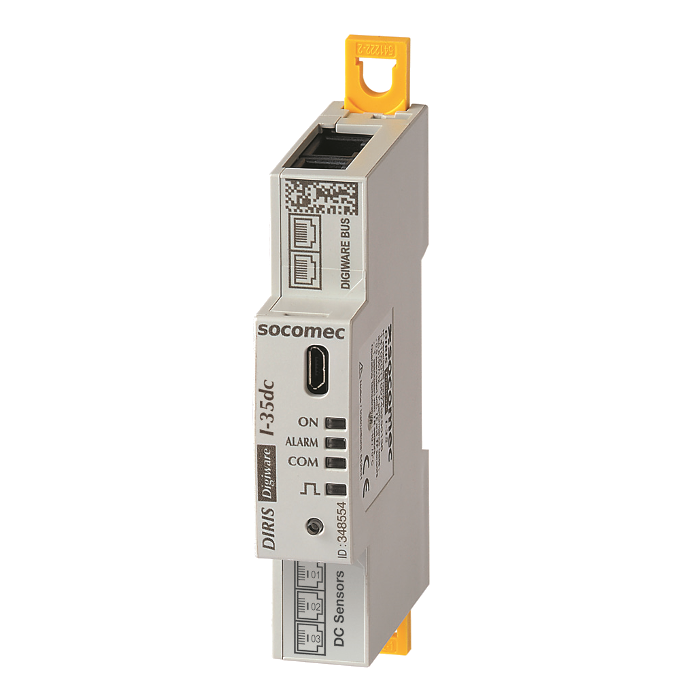 The RJ12 current inputs allow a quick and error free connection to DC current sensors which are directly powered by the DIRIS Digiware Idc module (no external power supply needed). Adding DIRIS Digiware Idc modules to the monitoring system is easily done by clicking an RJ45 cable. This allows great flexibility to users wishing to add more metering points in the future.